Just because city cars are cheap to buy that doesn’t mean they should be unreliable. In fact, appealing to cash-strapped buyers, who could struggle to pay hefty repair bills, means they really do need to be dependable. That’s where our 2017 Reliability Survey can help. We asked more than 14,200 people to tell us about any faults their cars had suffered during the past 12 months, how long the problem kept the car off the road and how much they’d had to pay to get it fixed. Here’s our round-up of the best and worst performers in the city car league for cars up to three years old. Only 14% of Citigos suffered a problem, but the faults related to fairly serious areas, such as brakes, engine electrics and steering. On top of this, some cars were rendered not driveable and not all the faults were fixed for free under the warranty; a small percentage of owners paid up to £300/$405. Only 14% of Kia Picanto owners reported an issue; 10% related to bodywork and 5% were for non-engine electrics. Reassuringly, all were fixed under warranty in less than a week. 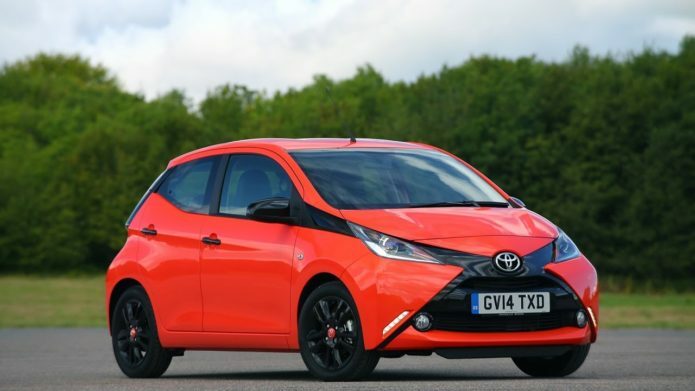 It’s full marks for Toyota’s Aygo, with owners reporting no faults with their cars. More than 13% cited reliability as what they liked most about their car, emphasising just how dependable it is. Only 15% of Fiat 500 owners reported faults, but those faults were serious and took more than a day to fix. More than 7% had steering issues and 4% had engine problems. Twenty percent of Fiat Panda owners told us about problems, and they spanned some important areas, including engine, engine electrics and suspension. All faults were fixed in less than a week, though, and most were carried out under warranty. Nearly 29% of Volkswagen Ups had problems. The most common were with the clutch/gearbox and non-engine electrics, and two-thirds of electrical faults related to the car’s digital radio. Around a fifth of cars took more than a week to repair and not all were fixed under warranty; a small percentage cost up to £1000/$1350.